The Dark Mode is coming on WhatsApp: battery saving and less tired eyes in the evening. Here’s how it works and how to get it. WhatsApp continues to update. Dark mode coming, to use the popular instant messaging chat even in Dark Mode. The new feature also accompanies the recent Messenger update, which introduced the same option through a nice trick. 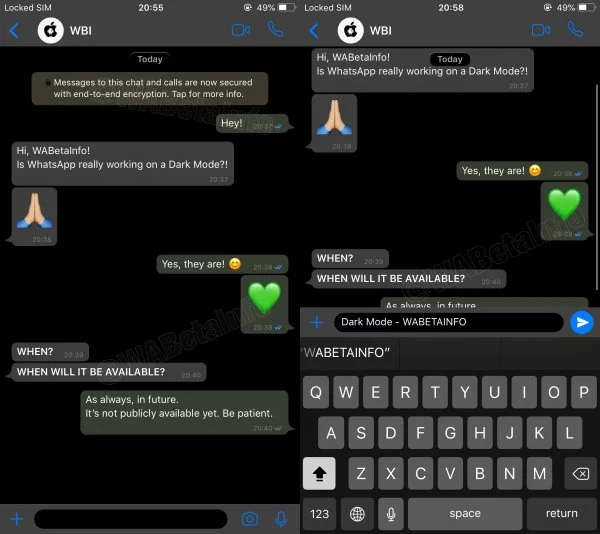 Currently being tested, as reported by WABetainfo, the Dark mode for WhatsApp could be coming sooner than we think: it is from the site that some rumors about its operation arrive, along with some screens that show how it will be displayed. The feature will be available for both iOS and Android, in different ways: this is how it will work. The WhatsApp Dark Mode will work like those already present in many other applications, such as Twitter and YouTube. Its function is simple: by activating it, the colors of the app will be inverted, giving the possibility of using WhatsApp in black and white. The menu, and the conversational windows, will go from the usual gaudy green and white to black with a well-defined gray scale (and that should give the maximum on smartphones mounted on OLED displays). In this way not only will the Dark Mode allow us to save battery using WhatsApp, but it will allow extended use of the app in the evening with an impact on our view that is decidedly lower. More rested eyes and longer chats in the evening hours: this seems to be the goal of this new WhatsApp mode, long requested by users. Currently the mode is available only for selected testers, but the developers ensure that its arrival will not be long in coming. It is not very clear how the backgrounds will be managed in the conversations , if these will remain in color or will be modified in black and white by the Dark Mode. On Twitter and Youtube the thumbnails turned to icons, profile pictures, videos and photos remain in color by activating the dark mode: the question of the backgrounds is very different, not being confined to a thumbnail but extending the color to the entire conversation page. Leaving it in color, the Dark mode for WhatsApp would have a decidedly lower impact. 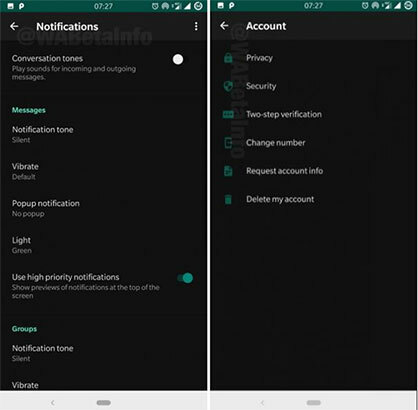 The Whatsapp Dark Mode, according to the screens released by WABetainfo. 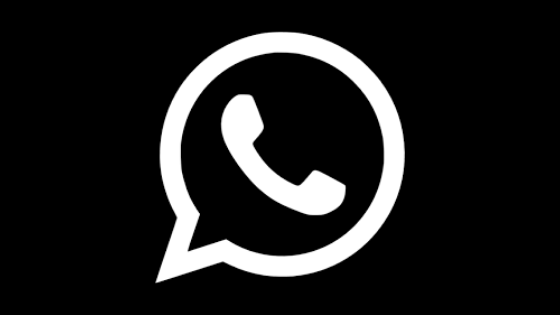 The WhatsApp dark mode is currently available only within the beta program and more precisely is accessible through version 2.19.82. The WhatsApp beta is available for both iOS and Android and can be activated in different ways: the test version is accessible to all registered users, with a limited number of available seats that are periodically expanded. By accepting to subscribe to this option, you will have access to several previewed functions, obviously accepting the compromise to use a non-complete version of the program. The arrival in the official version should be scheduled for the next few weeks, as soon as the testers have completed all the details.